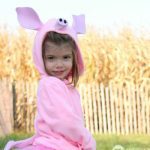 Easy Book Character Costumes - C.R.A.F.T. This post is brought to you by a frantic mom who realized she needed easy book character costumes at 8pm the night before said costumes were needed. If you’re that parent right now, I’m here to help. 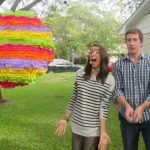 You can make anything out of cardboard, paper plates, and a little paint. 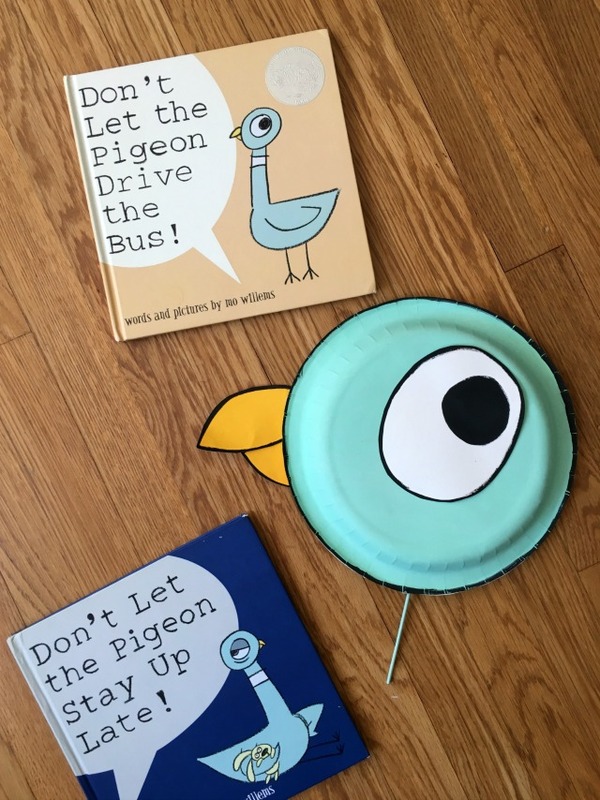 Hopefully your kiddo love Mo Willem’s pigeon books as much as mine! 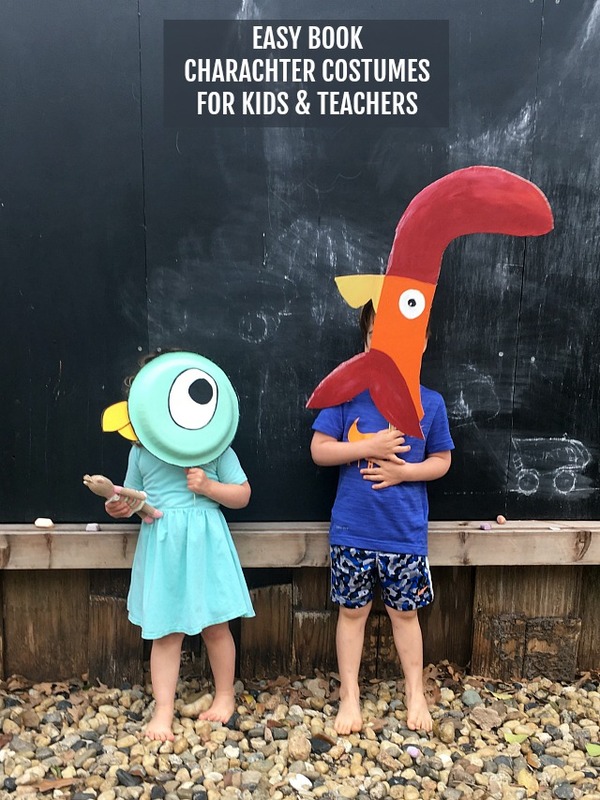 Here are two easy book character costumes to whip up the night before book character day at school. 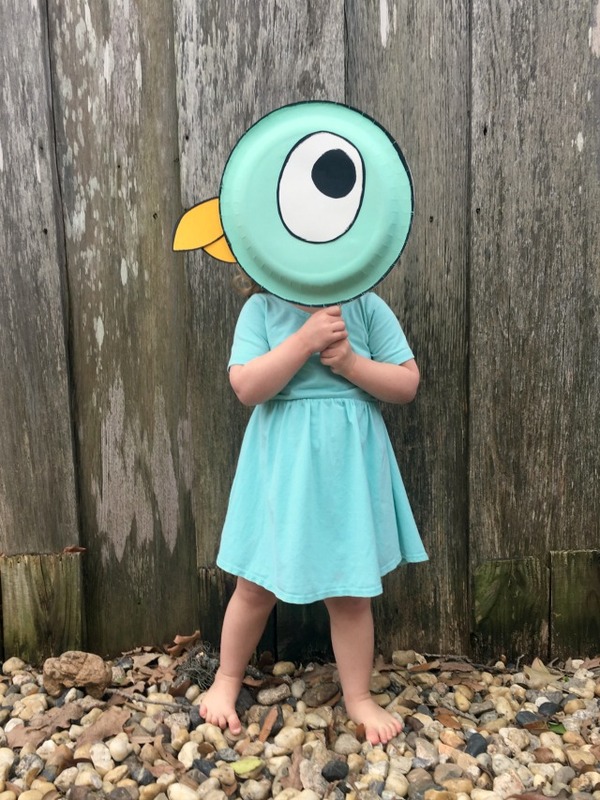 My goal here was actually to match the color of a dress that I knew was in my daughter’s closet so she could wear it with the pigeon costume. The pigeon is actually more blue than mint. Also, if your paper plates are thin, consider gluing a few together so that it holds up better once painted. While you’re waiting for the first plate to dry, cut the center of the second plate out for the pigeon’s eye and beak. Cut the center of the plate into a beak and eye for the pigeon. Again, I mixed a few paints to get the golden shade of yellow you see on my pigeon’s beak. For the eye, I painted a round circle in the upper part of the white paper plate oval. Use a small brush and paint a black border around all of the pigeon costume pieces. 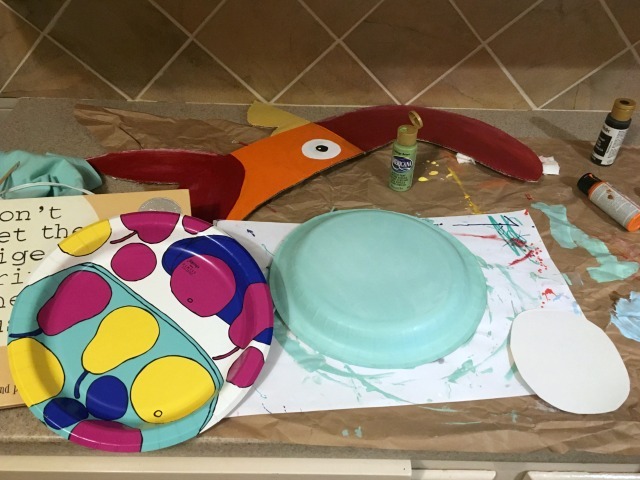 Use a hot glue gun and attach the eye and beak to the painted paper plate. Then hot glue a skewer to the back of the paper plate to make it a mask. I cut the skewer in half and attached the pointy side to the mask. 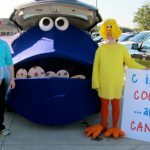 The Interrupting Chicken costume took a little longer to make, but well worth the extra effort. I mean look at this little chicken! As you can see from the picture below I used the image on the front cover of the book for the costume. I free handed the basic outline with a pencil. I used an X_ACTO knife to cut out my chicken shape from the cardboard, and painting the chicken is the best part! Don’t forget to add white highlights, they really made the chicken come to life! Since the chicken is much bigger than the pigeon I ended up using 3 full length skewers. If I had more time, I likely would have had my son find a good stick from the backyard to use as a handle. 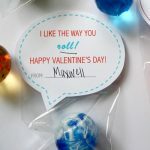 Our family loves to sew – even the kids, but I also love a cute no sewing needed project! 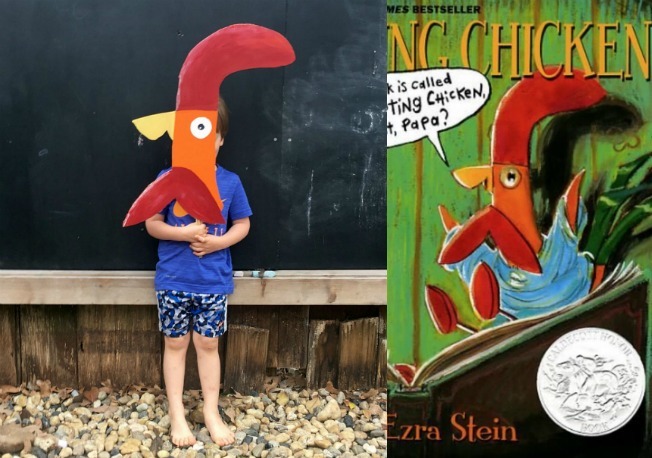 This is a super cute idea, and good for that elementary school project with book characters at Halloween time!